On June 6, Facebook announced an update to their Facebook advertising that simplifies the ad-buying process, eliminates the need for redundant ad units, and aims to improve overall quality by cutting down on their advertising products by more than half. All of the changes will be taking place over the summer and fall of this year. Most notably, Sponsored Stories will soon no longer be a standalone ad product. But have no fear, the Sponsored Story format is here to stay. Although advertisers will no longer be able to purchase Sponsored Stories on their own, soon they’ll be included as a feature of all Facebook ads. The ad purchase will automatically include the richest social context available – be that a friend’s like, a comment, or some other kind of interaction – and in the case of no social context being available, it will show a simple newsfeed ad. There will no longer be a large variety of different types of Sponsored Stories, as they will all be simplified into one ad offering. Facebook’s goal isn’t to make social advertising just a type of advertising. The social giant wants to make it THE type of advertising. Facebook believes that social context is the future of online advertising and wants to show that to all their advertisers, not just those investing in Sponsored Stories. Other ad formats did not make the cut. Questions, a type of post introduced in 2010 which allowed an advertiser to ask a question to their fans and gather the responses in an organized format, will be phased out as an ad unit because the same goal can be achieved for free. A marketer can just ask their fans to answer a question in a post. The Offers ad unit, which integrated online coupons into advertisers’ Facebook pages, will also be disappearing this July. It’s for similar reasons: An advertiser can simply post about a sale or special offer on their Facebook page for free, which gets similar and sometimes higher levels of engagement. One of the many problems with Facebook advertising in the past has been simple consistency – going into the purchase of an ad you almost never realize how it will end up looking on different devices. The reduced number of ad formats gives Facebook the chance to focus more on designs for each unit that look great no matter whether the viewer is using a smartphone or a desktop. Since this announcement came just a little over a month before Google is forcing its advertisers to switch over to the new Enhanced Campaigns format that lumps tablets in with desktops, some were concerned that Facebook would try to pull a similar move. Although these changes do remove the capability to create ads completely removed from the social aspect of Facebook, few are painting this as a bad thing – as the king of social, few advertisers wouldn’t want these features. Facebook assures its ad buyers that there will be no changes to the mechanics of the ad system, neither to the pricing or the way ads are placed. One group that may be hurt by the changes is the marketing companies that have gotten permission to use the Ads API to build their own Facebook ad systems. According to Zach Rodgers of Ad Exchanger, these Preferred Marketing Developers (PMDs) may be hurt by the simplification of Facebook’s ad offerings, as they have been arguably benefiting from the complexity of the current formats. While Facebook’s Brian Boland, Director of Product Marketing, doesn’t think so, only time will tell how the 44 PMDs will fare after the updates. 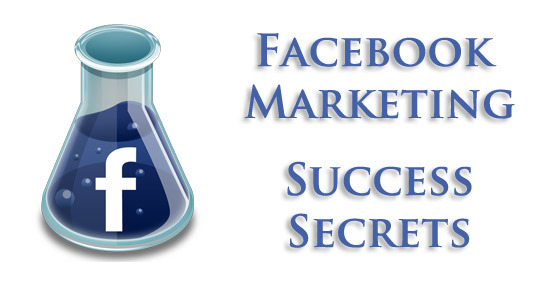 Is Facebook marketing a part of your paid advertising plan? Are you excited to see the new changes, or will you miss the ad units that are being simplified away? Share your experiences and opinions in the comments!